Willow Grace: Lots of corgi cookies for Jimmy's team! 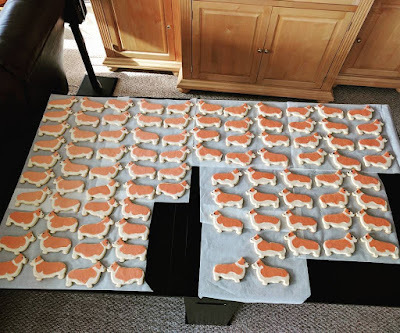 Lots of corgi cookies for Jimmy's team! Wow, I hope you know how talented you are! Why does he need corgis for his team? What sort of team? Does he race corgis? You should be glad he doesn't need Great Danes for his team, you wouldn't have enough room in the kitchen for that many!!!! !